If you're going to take a photograph you need some equipment. Simple enough, but how much do you really need? You can make money from your photos without buying any camera gear at all or you can spend thousands of $£€'s on buying a camera body with a 50megapixel sensor to create huge images and that's without a lens to go on the front, you need to pay extra for that! There are thousands of accessories to buy, some of which are probably more essential than others but it really depends on what you are trying to achieve with your images, how and where you wish to sell them and how it might help you make money from your photography. You wouldn't call yourself a commercial photographer and turn up to a shoot with your smartphone would you? So lets take a look at what you can buy and how you can use it to generate some cash from those pictures. Most people now have a smartphone and one of it's neat little features is the camera. Isn't that about as simple as it gets? A phone that actually takes rather good photographs and you haven't even bought a camera yet. You can make money with those photographs too as there are websites taking those images from your phone to make them available for sale. You can make money from your photography without actually buying any camera gear. Amongst many websites now offering to sell your smartphone pictures is the stock photo website Stockimo® where we ourselves sell our smartphone images. This site currently only accepts pictures taken on the iphone® but I think they have plans to also take android® photos in the future. It's worth noting that the mobile phone image is seen as being a little more spontaneous, creative and filtered than the average stock picture and this look is in demand at the moment. So whilst you can take the picture on your phone you also need to consider which app you can use to apply that filtered 'look' to your images. There are many to choice from, some are free such as the hugely popular Instagram®, Photoshop Express® or Snapseed® which is my app editor of choice. It's now easy to grab that camera-phone picture but to make any money you've got to take interesting subjects that are of a reasonable technical quality too so don't just point and click. Learn some of the basic rules about photographic composition such as the 'rule of thirds' where you divide your scene in to an imaginary grid of three, placing interesting parts of the picture on the points of the grid that intersect. You can take great pictures with just your cameraphone but there's a surprising number of accessories you can buy that might just make them even better such as tripod adapters, additional lenses that attach to the camera for different focal lengths, hand-holding grips, external microphones or clip-on lighting to name just a few of the plethora of things you can buy. Some you could easily find useful like a tripod adapter as you will greatly increase the saleability of your images when they're sharp. If you only shoot pictures you don't need an external microphone but if yuo start to make movies then you might just want one. However as we're only looking at photography here, we'll assume that filmmaking is for another day. 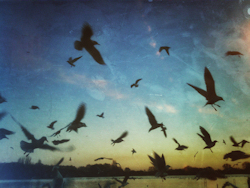 This picture of gulls silhouetted at dusk is typical of the type of shot we would produce with an iphone, edit to add that 'filtered' look and submit as a stock image. If you're interesting in improving your smartphone photography, we have an article here that might be of interest: Improve Your Smartphone Photography. We have an interview with Ryan Cardone who specialises in shooting surfing stock images on his iPhone. Ryan Cardone iPhone Stock Photographer. With these types of cameras you can begin to build a system around them such as additional lenses, flash and tripod. The Canon gives you an extra option in that you can buy an adaptor meaning you have access to the lenses designed for their DSLR camera range. So should you want to upgrade to their DSLR cameras you would already have lenses to fit. To call these types of cameras 'point and shoot' is to do them an injustice as they offer far more functionality than that. You can take complete control of the settings of the camera and influence the final shot to give you as much creative input as you need. For instance there will be aperture priority, shutter priority modes and even full manual where you set both the aperture and shutter speed. (For an explanation of how shutter, aperture and ISO work together see here.) These cameras are a real step up for your picture taking skills and creative eye. None of these types of settings are available on your phone-camera or at least not yet. I'm sure it's only a matter of time before phone makers begin to extend the features of the cameras to add more control of the picture-taking process. When you feel it's time to consider buying a DSLR you know you are taking your picture-taking very seriously. The DSLR or Digital Single Lens Reflex, is one of the great tools for capturing an image. It is this one single piece of camera equipment that will allow you to achieve your full creative potential. You can change your lenses and have complete control over the settings the camera uses to take the picture. Once you experience this ability to influence the final image, after using a DSLR or mirrorless camara, using your phone to shoot will feel very simplistic. I use a DSLR for all my stock and commercial work as I need to have the options it makes available to me to maximise my ability to deliver what the client wants from their commissioned pictures, my stock submissions and images I sell as prints. The picture of the DSLR body here was taken with another DSLR camera and would've been almost impossible to achieve had I tried to take it with a cameraphone. It's the black camera against an almost black background that's the challenge and to achieve this level of exposure complexity requires the settings only the DSLR offers. An interesting fact about this image of the DSLR camera body is that background is white but as it's so under-exposed it comes out as almost black. There is a small amount of flash fired on to the background behind the camera to light it just enough to separate the black camera from the almost black background. You could take this image with a mirrorless camera too. It's the ability to control exposure and use external flash that's important, not the design or make of the camera. 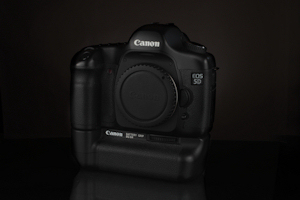 The DSLR offers you the same technical control of your camera as the point and shoot above plus additional facililties on many of the models such as external flash control, pop-out viewfinders, better sensors for improved image quality, greater shutter speeds and wider ISO settings to name just a few. There are many models with various functions that I just can't list as we'd be here all day! Mirrorless cameras seem to be very popular now and some even predict that they will do away with DLSRs for most people at some time in the future however I wouldn't like to predict how this will play out. Video is now available from most DSLR's and it's a useful feature to have but as the topic of filming video probably needs a whole website devoting to just that we'll steer clear of it for now. However it's important to note that video footage is also now sold as stock and grows ever more popular as more clients wish to add movement to their projects. So although we won't cover it here at the moment I hope to write an article devoted to filming footage sometime very soon. I also shoot and sell footage as stock so there's lots of information to share. In the last two or three years mirrorless cameras have really taken off and now rival DLSR's in their use by professional photographers. Mirrorless cameras are very similar to SLR-type cameras where the lenses are interchangeable. Perhaps though the most significant difference is that any 'view' the photographer has of the scene when taking the picture is through the use of an electronic viewfinder. A SLR camera uses mirrors internally to reflect the image from the lens through to the viewfinder at the rear. Mirrorless cameras show an electronic version to the photographer. Whilst the quality of the photography from a mirrorless camera is excellent, it has been the video capability that's projected them high up the photographer's want-list. Brilliant low-light capability and 4K recording at DSLR price levels has proved very attractive and their use is now widespread. Many photographers make use of adaptors to put alternative lenses such as Canon glass on to a camera made by Sony or Panasonic. This perhaps also helps the transition of brand for any photographer or filmmaker switching to a new platform. 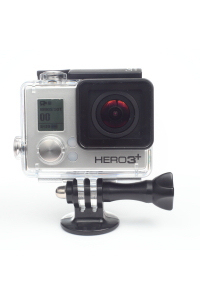 It has never been easier to record extreme sports action since the GoPro® arrived on the market. These amazing all-in-one stills and video cameras allow you to put a camera in places you could only dream of in pre-GoPro times. Using such wide lenses means that the depth of field is incredibly deep therefore image sharpness is guaranteed. There's no need to set any aperture or shutter settings although there is some configuration for the width of the frame and ISO preferences. Once you have set these you can put the camera in some unusual places to create great angles and compositions for amazing action shots. They can be controlled remotely with a small gopro wireless device or even by your smartphone. So if you are in to creating action images these can be very useful to capture shots that would otherwise be impossible to get. Other manufacturers make action cameras such as Sony but GoPro is by far the most popular. There's a wealth of accessories just for action cameras such as tripod mounts, floats, body harnesses, helmet mounts plus a pile of other stuff. Buy lots of spare batteries as a fully charged battery can run out in a few minutes when using the wireless connectivity option. (I refer here to my experience with the GoPro). It is my opinion that you should only invest in the best quality lenses (or 'glass' as photographers like to call them) you can afford. The more expensive models give you sharper images with less distortion and chromatic abberation (CA). The best lenses will have a wider aperture such as f2.8 or F4 on the longer telephoto lenses like 600mm (that's a big lens!) These types of lenses are aimed at the professional and serious amateur photographer. Budget lenses usually come as part of a kit, bundled with a camera body and probably aren't up to much so avoid these. Personally I would rather have better quality lenses and go down to a lesser body spec as quality glass is more important to me than the body. Do you buy prime (fixed focal lens such as 50mm) lenses or zoom (e.g. 80mm-200mm) lenses? I mix these up. I have some prime and some zoom but it's depends on your own personal style and work habits as to what suits you. Ideally you should have a range of focal lengths from wide, say 20mm or wider to telephoto, say 200mm or longer, with coverage of most focal lengths inbetween. By having this coverage you are ensuring you can meet most compositions with your lens selection. Don'y try to get one lens to cover every focal length because you want to have options to cover for a lens disaster. Should one lens become inoperable, you can call upon one of your others to give you an emergency alternative. You don't have to buy the lenses made by your camera body manufacturer as there are third party companies making great quality lenses cheaper with little or no loss of image quality. So look out for independent lenses from the likes of Tamron, Sigma and Tokina to name a few of the well known brands. After your lenses the next thing to consider is flash. There will be times when you can shoot without any artificial light however you should be prepared to use flash for those times when natural light (or the lights in an indoor venue) aren't up to the job. Photography is really about the ability to use light to illuminate the subject in the best way possible and whilst natural light is great, using flash can increase your options to get the picture you want. Lets start with on-camera flash. Some DSLR's have a small flash head built-in to the top of the camera body and this can be useful when you need a little light but those small lights aren't very powerful so don't cover much of an area. The quality of the light is also poor as it's fired straight out without any modification and is rather harsh on your subject. Of course this could be the effect you require but if you want a flattering quality then that needs some modification before it gets to your subject. We'll discuss light modifiers later on. That brings us to the next-step up, a flash gun or strobe light. These fit on to the shoe (or hot-shoe) on the top of the camera and give out a lot more light than a built-in flash. The more powerful the light, the more expensive they become so buy the best you can afford as you can never have enough light. 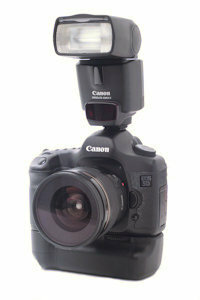 There are flashes made by the main camera manufacturers and third party flashes too which tend to be cheaper. Some third-party flash guns seem to have almost identical functions to their own-brand counterparts so could save you some money if you're on a budget. (And who isn't?) These days all flashes come with a host of functions such as slow curtain sync, an ability to adjust flash output up or down, to zoom the head to reduce or increase the angle of output to match the lens focal length, tilt and swivel to point the head to bounce light on to different parts of the scene, an abililty to sync with faster shutter speeds plus many other bells and whistles too numerous to mention here. The quality of the light from a flash gun (or strobe) can also be very harsh as it's fired straight on the subject so that's where the tilt and swivel option is useful. You can bounce the flash off a ceiling as that gives a much softer light. There's also numerous third party flash modifiers or diffusers that fit on to the flash gun to fire through or reflect the light which again dramatically improves the light as it falls on the subject. Note though that modifying the light in this way means it's strength is reduced and doesn't cover as wide an area as unmodified light. These are options for when you want to keep the flash on the camera but what if you want to take the flash off-camera? What if you want to light a scene with variable amounts of flash in different parts of the picture? You have to use off-camera flash. 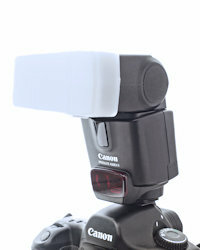 You can use remote flash/strobe guns or dedicated flash heads, sometimes called monoblocs. Whichever option you use they both have to be triggered to fire so a link is required between the camera and the lights. This can be wired or wireless. Wired is cheaper but not very flexible. You need to connect what's called a pc cord from the camera to the flash. Some camera bodies have a socket for this and if not you can buy an adaptor that fits in to the hot shoe of the camera. The flash gun may have a pc-cord socket to connect directly or you can buy a flash shoe (called a cold shoe) to mount the flash on which accepts the pc-cord and allows you to trigger the flash. Wireless means you can have the lights many metres away from the camera and still trigger them. A radio signal is sent from the trigger on the camera to the trigger upon which the flashgun is mounted. A Wired flash can also be at distance but the wires are very messy and cumbersome. Some flash units come with triggering built in but require an additional trigger on the camera and you can also buy a pair of triggers, one of which fits to the camera and one fits to the flash. There are many third party triggers around as well as from the camera manufacturers. I use Yongnuo flash triggers. You can add as many flash heads as you like, you just need an additional trigger to which you fit the flash head. The triggers I use allow me to control the flash lights remotely which is handy. The beauty of flash guns used in this way is their portability and batteries to provide power. This means you can be out in the wilds and use artificial light. You don't need to have electrical power to get your shots. Monoblocs have the edge though when it comes to power. In our example here we see a typical studio light designed to be mounted on a light stand and plugged in to a mains socket for electrical power. 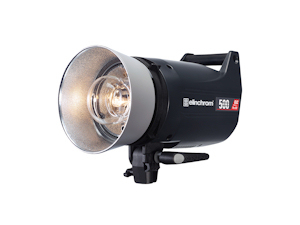 Just as with the portable strobe flash guns the best quality light from a studio monobloc comes from modification through a diffuser of some kind. Softboxes and umbrellas are popular because they work so well. These types of light are very popular with professional photographers as they provide a lot of light and recycle quickly so there's no waiting around between shots. These kind of lights are used in some numbers on a shoot, so a photographer can use one, two, three, four or maybe more depending on how they wish to illuminate the scene. Wireless triggers are also a great way to fire these lights just as with the strobe flashguns. Whilst these monbloc lights are designed for the studio, it's also possible to take them out in to the field using a very big battery for power. Sadly the batteries aren't cheap but if you can afford to invest in these then you have the ultimate lighting options for outside shoots. The ability of the photographer to work with light is an essential skill and one of the foundations of making money from your images. Whilst there are many opportunities to make money from pictures lit only by natural light, having the confidence and knowledge to work with artifical light means you can offer greater variety to commercial clients who are likely to need images lit by flash far more than they need only pictures lit by natural light. The photography world is awash with accessories with new bits of kit added probably daily to tempt you. However there are some essentials that you'll need right from the beginning. For me, number one is a bag to put your kit in. These come in many different shapes and styles, from waist packs, shoulder bags, back packs and hard cases. Which you choose will depend on what type of photography you do. If yuo like to travel light and have a small amount of gear then a shoulder-type bag will give you quick access to your gear and the most freedom. Back packs are great if you have more gear and need to move around in the outdoors as they allow you to hike with your equipment. 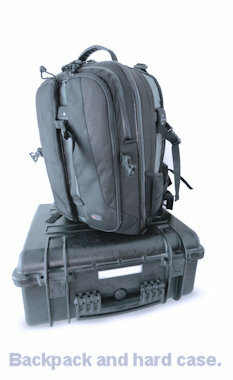 If you are travelling and wish to give your equipment the ultimate protection then a hard case should do the job. These are designed to be packed in the backs of cars, trains and planes and take the knocks so your equipment doesn't have to. I use a combination of bags depending on the type of shoot I'm working on at the time So one solution isn't going to fit every scenario. If I was going to pick one option to buy first it would be the back pack as I find that to be the most handy for most kinds of commission. I purchased the biggest bag I could reasonably carry when it's full of gear. It was tempting to buy a bigger bag but my back wouldn't have thanked me for it! Remember, you need to arrive to your shoot with your gear protected and ready to go. My second most important accessory is a tripod. When you're looking to sell your work either as stock or selling your services as a commissioned photographer you need to deliver sharp, clear images. When I don't have to hand-hold my camera it's always mounted on to the top of my tripod because I know how much better the images look. Of course you can use faster shutter speeds and wider apertures but a tripod-mounted camera means you can use smaller apertures, lower ISO and slower shutter speeds. Most important for me is the lower ISO as this means more detail in the image. Also smaller apertures mean a greater depth of field, hence more detail. A tripod will make a huge difference to the quality of your work. A little side-effect to putting the camera on a tripod means I take longer to consider the composition. 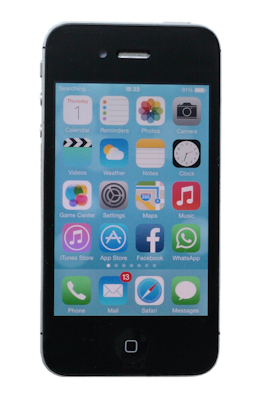 It lengthens the picture taking process which means more time for critical decisions. There are many tripod designs on the market, some designed for studio work, some for carrying out on a trip in to the landscape, others are designed for video cameras, some are very small, some are very large and many more besides. So which do you choose? If you are working most of your time in a studio then you are unlikely to need a lightweight tripod designed to be easily carried when hiking so you can look at the bigger designs that will offer you the greatest stability and height. Moving one of these around a studio is no problem but if you were to try and carry it up a hill you probably wouldn't thank yourself for buying it. If you spend most of your time shooting landscapes then something that is lightweight and less cumbersome would fit the bill. Although a little more expensive, carbon-fibre tripods are very lightweight and very sturdy, ideally suited to being out in the field. Of course you can use this design in a studio too and this might be ideal if you work in both environments. 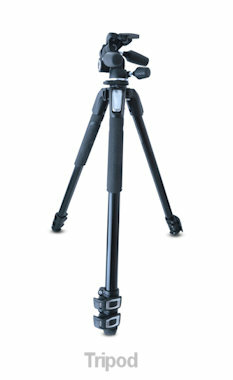 There are lots of companies making tripods including Giottos, Gitzo and my favourite, Manfrotto. You have to decide which fits your needs best. For me, an aluminium design that extends to a decent height and features an option to exchange the head means I can use the tripod for a stills camera and by changing the head use a ball and socket head for stills. I don't do much landscape work so when I do I have to put up with the heavier design so there's some compromise but overall I find it's flexibility, great design and stability to be worth the weight. Lets not forget the monopod design. 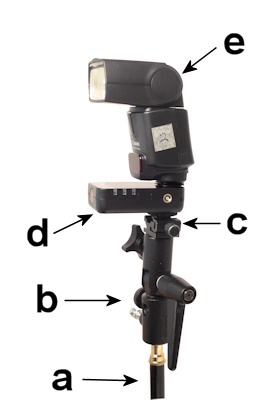 A single leg offering improved stability for users of long lenses. Very popular amongst sports and nature photographers these take the weight of a long lens reducing camera-shake considerably. These give you a better chance at more useable photographs from the subjects you shoot where a tripod would be too cumbersome or difficult to use.